Just Mobile has released a miniature version of its Gum Max and Gum Plus backup battery packs called the Gum, an ultra-compact stylish smartphone and iPod compatible backup battery capable of fully recharging an iPhone with its powerful internal rechargeable 2200mAh battery capacity. 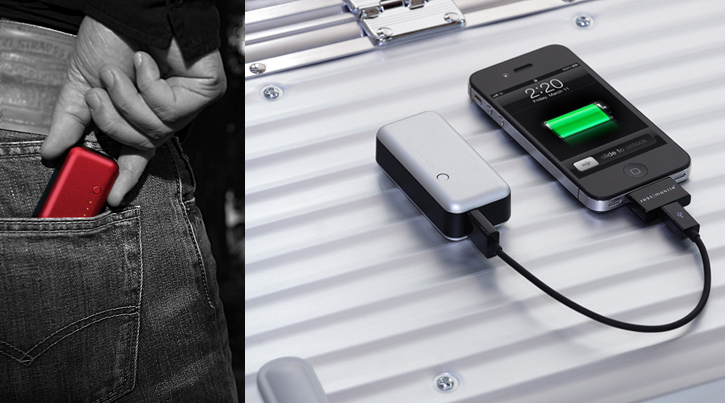 Just Mobile's pocket sized Gum battery has a top and bottom aluminum construction and features three micro green battery indicator LEDs, one USB charging port rated at 1A and includes a micro-USB to USB cable, a micro-USB to 30-pin dock connector adapter as well as a carrying pouch. The Gum is available now in silver, red and black for around $50.